Hi again! I’m Maribeth Lynch from Thrive Real Estate Specialists, with your Shrewsbury market report through the end of December 2018. We are experiencing a market shift that is undeniable. We have moved from a strong sellers market to a more balanced market favoring buyers. The combination of rising interest rates and higher home prices have worked towards a softening in the market. However, Shrewsbury continues to outperform most other comparable towns both in total units sold and pricing. Unit sales were up slightly in December but off 30% from last December. We also saw a sharp fall off in the list price/sale price ratio which dropped to 94%. It was previously holding steady at 98 to 100%. These two factors confirm the weakening market that we have been feeling. Despite these downward trends, our days on market are still low, with an average of 50 days on market in December. Our inventory of homes tells a similar story-with 82 units on market at the end of 2018—this is up 40% more than the previous two years. If you are a Buyer, this data present a clear message that 2019 will be a great year for you to buy. Looking at the high and low of the Shrewsbury market in December, a condo sold for $133,000, and a beautiful home sold for $2,750,000! If you are a buyer—NOW is the time to get serious about your search. If you are a seller, the condition, location and price point of your home will be the factors most impacting the bottom line. We love working with buyers as well as representing sellers in Shrewsbury—if 2019 is YOUR year to buy or sell, give us a call! That’s your Thrive Real Estate Market Report for Shrewsbury through December, 2018. Here’s to a great 2019 for all! Think Spring! What Should You Be Doing to Prepare? As I write these words, a light snow is falling outside the window and it doesn’t seem like spring is just around the corner … but time has a habit of flying by and I know spring will be here before we know it. In the world of real estate, spring is typically a busy time of year characterized by people emerging from their winter “hibernation” to put their homes on the market and peruse the real estate listings. While we’re waiting for spring’s welcome arrival, homeowners and prospective home sellers can do a few things to prepare for a new season. Winter is a great time to hunker down inside and get the house in order, whether that means general cleaning, organizational projects, repainting, or a little light remodeling. A change of colors can breathe life into a room, but paint isn’t the only way to accomplish a new look. Sometimes a fresh look is as simple as some new throw pillows or an area rug. January and February are a good time of year to do some shopping. White sales are prevalent in the first two months of the year. It’s a great time to stock up on new linens like bedding and towels. Some stores even extend these sales to kitchen items. Furniture sales are also common in the early days of the year since many manufacturers introduce new styles in February and older pieces need to be moved to create space in showrooms and warehouses. I’ve also heard that large-screen TVs are often discounted by retailers hoping to get a bounce in sales prior to the Super Bowl; New England certainly would be a prime area for such discounts with another Super Bowl in the cards for the Patriots. If you’re in search of other items, post-Christmas sales feature seasonal décor for next year as well as winter apparel that cost a small fortune before the holidays arrived. Sports and fitness equipment see some price reductions during the early months of the year as well, so if you’re looking to work off some of the overindulgence of the holiday season, now is the time to see if you can get a discount on home fitness equipment or even a gym membership. Small electronics often see an uptick in price reductions in February. And don’t forget that President’s Day is coming up, and long weekends often provide retailers an opportunity to run a short sale – just remember to plan accordingly, as these sales can be brief. Redecorating and shopping can be enjoyable ways to spend long, cold winter days, but there are a few practical tasks you can do around your house, too. Adding insulation and sealing doors, windows, and walls may not be a glamorous activity, but it can save you money in both the winter and the summer by keeping the elements out of your home. 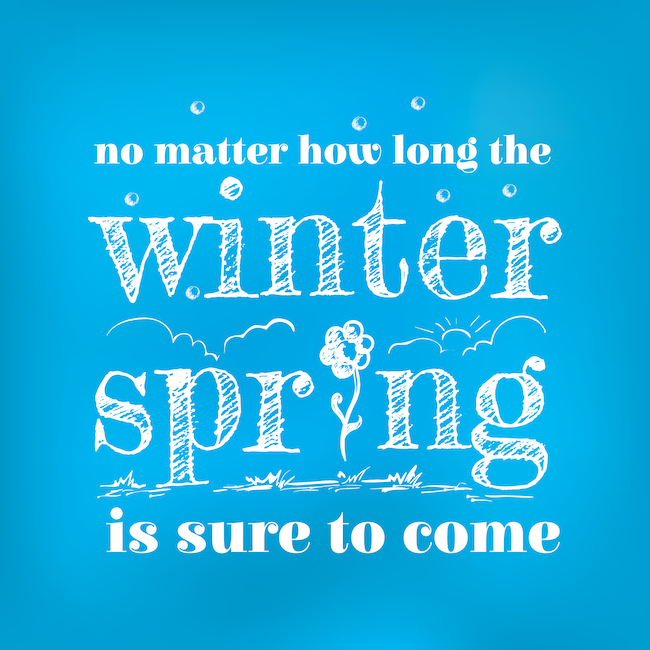 And tuning up your heating system or installing a smart thermostat will keep you cozy until spring arrives. It’s a little too early to start talking about landscaping and planting flowers and gardens, so in the meantime, plant a small herb garden to put on a sunny window ledge and spruce up your house with a few fresh flowers – Trader Joe’s has an ever-evolving selection at reasonable prices and you can bring the cheer of springtime into your home before the season even arrives! 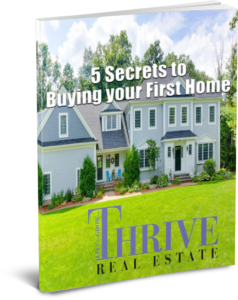 For more information on getting your home ready to sell this spring, contact Thrive Real Estate Specialists. about the Home You Want to Buy? You might be surprised to learn that there is quite a bit of information about a property that a seller is not required by law to voluntarily disclose to a prospective buyer. This means that the burden is on the buyer – and the buyer’s agent – to ask the right questions to reveal any hidden information that is not immediately noticeable about the property. The seller or seller’s agent is then obligated to answer any such questions honestly. With Halloween approaching, there are plenty of opportunities to get spooked. Don’t let your new home be one of them! You may not be aware that one of the real estate disclosures not required by law is the revelation of a haunting. Certain other historical characteristics of a property are also not required disclosures under Massachusetts law, such as murders and violent acts, criminal activity, or previous owners or residents with an unsavory history. If a crime was ongoing on the premises of a certain property, the home would fall into the category of criminal stigma. If the home was used as a brothel or drug den, for example, former patrons might continue to seek out illegal services on the premises, to the annoyance or dismay of the new owners. This one is pretty self-explanatory. Many buyers would prefer to shy away from a property with a violent or gruesome history in which a murder, suicide, or even a death has occurred. While many people do not believe in the paranormal, some buyers might be inclined to steer clear of a home that has a history of hauntings, ghost sightings, or other supernatural activity. In a case of phenomena stigma, the haunted history of a home is unlikely to be widely known, but instead restricted to the local populace or even just the previous residents of the house. A public stigma pertains to a widely-known history of the home that might lead it to be of public interest or considered an attraction that members of the public might seek out. An example of this might be a home in which a known murderer has lived – even if no murders were committed on the property. Another example is a home like the house in The Amityville Horror, with a widespread reputation as a haunted house. I strive for transparency with all of my clients. I feel it’s best for everyone involved that I share all information I have available about a property up front, and if there are specific questions or doubts, I’m here to help my clients uncover the truth. But it’s important to realize that since sellers aren’t obligated under Massachusetts law to disclose certain information, buyers may not always have the advantage of an agent who is willing to dig around under the surface of a sale. While I pledge to my clients to be upfront with any details of a home’s history that might make them think twice about buying it, not everyone is so forthcoming. Protect yourself by asking the right questions to elicit all the information you need to avoid buying a house with a skeleton in the closet. For more information on buying homes in Massachusetts or to contact Maribeth, visit www.thriverealtors.com/contact-us. in Your Listing Agent Interview? When you sell your home, you want to be confident that you are partnering with a real estate agent who is a good communicator with ample experience and the right approach to selling your home. Qualified listing agents should be motivated, connected, and invested in your sale. So … how do you assess these qualities before signing on with an agent? The answer is really quite simple and highly crucial if you want to be certain you are working with a results-oriented agent who has your best interests at heart: Interview a number of listing agents and ask thoughtful questions designed to help you determine whether you’ve found the right person to help you sell your home. This may, at first glance, seem like a nosy question, but it’s not! It’s a very fair question to ask a listing agent, because no one can represent a house better than an agent who lives and works in a particular community or area. 2) What was your volume last year? An agent should be able to provide you numbers quickly if not right offhand. You should ask how many homes he or she sold in terms of dollars and units. Each market is unique, but in our local market a productive agent should sell minimally 15-20 units per year and should have a yearly volume in excess of $6 million. 3) What is your list price/sale price ratio? Finding out whether an agent generally makes a sale close to the initial asking price will help you determine whether the agent is skilled at properly pricing homes. 4) What were the last three homes you sold – and when? Were you the listing agent or the buyer’s agent? Since you are looking for an active agent, consistent production is a must. You’ll want to take into account the market, of course (when the market is sluggish, sales are slower), but in general, finding out about the agent’s recent sales history will help you assess his or her activity as well as the type of sales he or she has made. Also, listing agents and buyer’s agents employ different skill sets, so be sure to break down their production in terms of homes they listed and homes for which they represented the buyer. 5) When I contact you via phone, email, or text, who will be returning my messages? Some agents list a house and then pass of the rest of the work to their “team.” If you want to be assured that you will be working directly with the agent for the duration of the sale process, this is a fair question to ask. 6) When I contact you and leave a message, how long will I wait before receiving a reply? Agents who see a lot of activity may be otherwise engaged when you happen to call, but it shouldn’t take hours before you receive a response, particularly when the matter requires a timely reply. An agent who doesn’t get back to you in a timely manner might be too busy for your business. Real estate agents like anyone else, do have unexpected occurrences pop up, but your agent should communicate to you in advance anything he or she has scheduled (a trip, a seminar, a family event, etc.) that might take him or her out of the loop for any amount of time – and inform you whom you can contact in the interim. 7) Can you provide me with three references from sellers you’ve worked with? ago, that should be a red flag. 8) Do you have a vendor list of subcontractors and professionals who you can recommend? This is a very valuable aspect to hiring an active, local agent — he or she has established relationships with professionals ranging from attorneys, movers, and stagers to engineers, electricians, painters, landscapers, and many other must have services. In a busy market, getting a response from a contractor can be tricky, but an active agent refers lots of business to others and will be able to get quick service that will benefit you. 9) Why should I hire you? This is a great, challenging question. The answer should help you determine where your goals and the agent’s goals match up. If the answer doesn’t resonate with your vision for the sale, you need to interview some additional agents. 10) What is the most important quality you possess that makes you good at your job? This is a great question because this is, after all, an interview. Gaining some insight into what drives your agent to strive for success can tell you a lot about him or her. 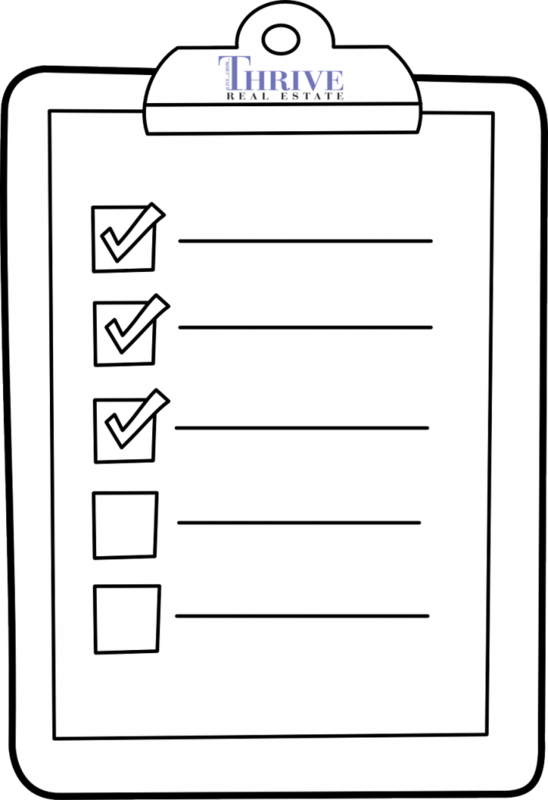 I assure you that I am fully able to thoroughly answer any question on the above list and I prepare for listing presentations like I would prepare for a job interview. Any qualified listing agent should be able to do the same in order to provide you with the facts that you need to make an informed decision about listing your home. Go into your listing interview looking for an agent who is prepared, on time, can show you a plan to sell your house, and who listens to you. It usually (but not always) takes an agent at least two visits to your home to render an opinion on price, but you can assess his or her other qualities during that first meeting. You are going to spend a lot of time and money with the agent you hire, so make certain that you have a positive feeling about his or her ability to represent you and your home. A fruitful collaboration will ensure that you get the value you deserve for your investment, and you should be able to get a sense of that value right up front with a thorough listing interview. Would you like to know more? Visit www.thriverealtors.com for more information! We at Thrive Real Estate Specialists want to send our deepest thanks to those who made our first full year in business a huge success. The greatest achievements in any organization are made up by the small steps we take each day to service and respond efficiently to our clients. We thank each and every person who have helped us build our brand and have entrusted us with their business. May you THRIVE in 2016! Why We Love Our Clients! There is no better compliment than a client taking the time to write a review about working with us. We make it our mission to go above and beyond for our clients, and getting such a wonderful review just reinforces the value in our commitment to our customers. 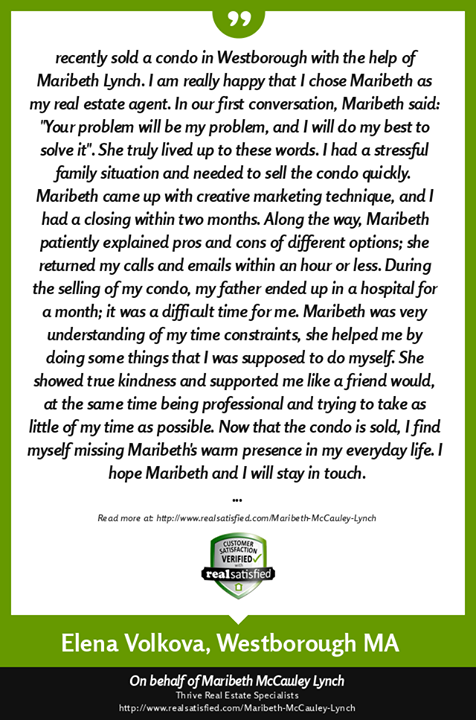 I recently sold a condo in Westborough with the help of Maribeth Lynch. I am really happy that I chose Maribeth as my real estate agent. In our first conversation, Maribeth said: “Your problem will be my problem, and I will do my best to solve it”. She truly lived up to these words. I had a stressful family situation and needed to sell the condo quickly. Maribeth came up with creative marketing technique, and I had a closing within two months. Along the way, Maribeth patiently explained pros and cons of different options; she returned my calls and emails within an hour or less. During the selling of my condo, my father ended up in a hospital for a month; it was a difficult time for me. Maribeth was very understanding of my time constraints, she helped me by doing some things that I was supposed to do myself. She showed true kindness and supported me like a friend would, at the same time being professional and trying to take as little of my time as possible. Now that the condo is sold, I find myself missing Maribeth’s warm presence in my everyday life. I hope Maribeth and I will stay in touch. I highly recommend Maribeth to anyone who is looking for an experienced and professional real estate agent that will understand specifics of your situation and do their best to help you. For more information about buying or selling homes in Shrewsbury or the central and metro west areas of Massachusetts, visit http://www.thriverealtors.com or call Maribeth at 508-641-9323.